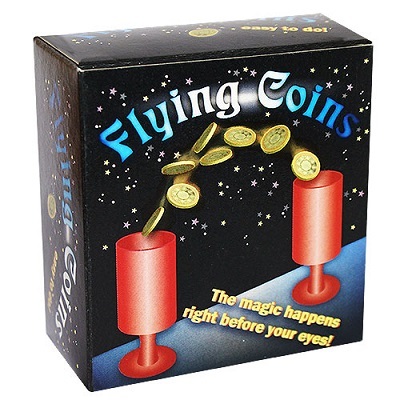 Invisibly, four coins pass from one cylinder to another, one at a time. No sleight of hand is required with these precision made props. • At a great price.